About a month ago we started livecasting from Arduino’s YouTube channel. This is something I had been willing to do for quite some time, but I never figured out the way to make room in my agenda to fit the planning required to make it happen. Technology has changed a lot over the last couple of years and it is relatively easy to start broadcasting from anywhere given there is an Internet connection. Not only has the tech for transmission evolved, there are also several options on where to send the video so that others can watch it whether live or in its recorded form later. We want to reach you when you’re commuting to/from school and have some time to chat about things that matter in the field of tech and education. We want to test LIVE experiments made by others and see whether we get the same results. We want to showcase projects from the Arduino community that are relevant for those involved in education. We want to give a voice to makers from all over the world that we meet when traveling (something I do often). We want to fail on air, and get help from the chat to fix things. We want to have a more inclusive audience. Livecasting is a quick and honest way to approach all of this, minimizing the impact in terms of the amount of resources needed to put it in place. Even if the livecasts will be super LoFi in nature, it doesn’t mean we will not be thinking carefully about the content to be presented in them. We have prepared a (preliminary) agenda all the way to 2019. While the exact topics of the livecasts are open to change, we will keep a balance between technical casts, interviews, project presentations, and basic introductory sessions for those starting. We will air in English on Thursdays at 7pm CEST (CET) unless there’s a holiday, in which case we’ll try on an earlier day that same week. Some weeks we might transmit more than once, like e.g. if we find ourselves at a conference or event where there might be something meaningful to inform you about. That said, follows an overview of the livecasts we have planned to make (along with those that have already taken place). Hacking STEM 1: A water quality sensor experiment, where we took one of the Microsoft Hacking STEM projects and replicated it. The building process went fine, but the sensor gave us some trouble because of some alligator clips. Sensors Q&A 1: We are always receiving questions about how different sensors work. Here we devoted one session to test different temperature sensors… ah, and we threw an Arduino Uno into the frozen sea and proved it works (after drying up). Live from Hackergarage GDL, Mexico: We interviewed a series of people from the Mexican maker scene. People from all over the country came to Guadalajara for an event and we managed to squeeze in a series of live interviews. 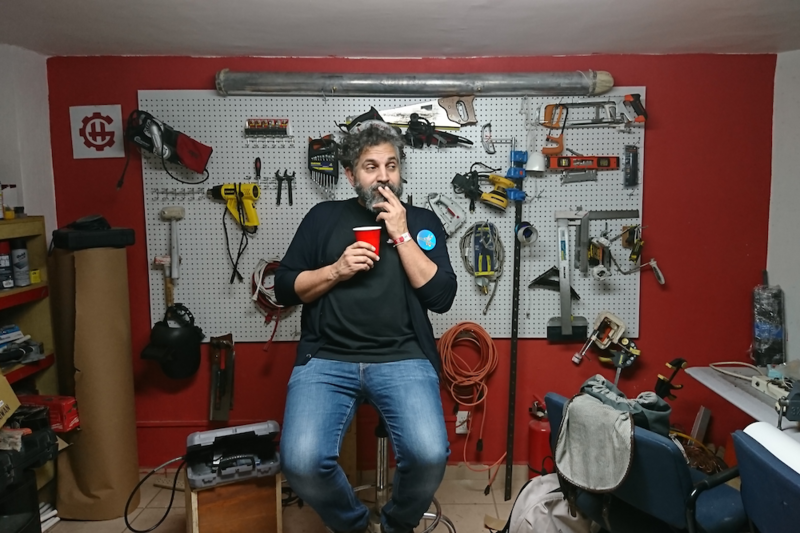 Live from Hacedores CDMX, Mexico: We went to Mexico City and interviewed the founder of the Hacedores MakerSpace, Antonio Quirarte, who could also be considered one of the founding parents of the Mexican make scene. We had a great talk and he showed some of the educational projects they have been working with for some time. Are you into weather stations? Then this is your podcast! Teacher Tutorial 2: Learn about Arduino’s classic IDE and how it differs from the new online Create IDE. We also found out about the Microsoft OneDrive issue with the classic IDE (bug that will be solved in the next release). April 18th (between 10AM and 12AM CEST) – Live from CTC Valencia Faire: We will be transmitting live from the museum Ciudad de las Artes y las Ciencias, showing projects made by students participating in the CTC initiative. April 19th – CTC Projects 1: We will dissect a CTC project made by students and try to replicate it, to some extent, with whatever materials we have in our office. April 26th – Microsoft Hacking STEM Project 2: Yet another project from the Microsoft Hacking STEM collection. May 3rd -Teacher Tutorial 3: Learn how to extend Arduino’s classic IDE, add libraries, use other cores, etc. 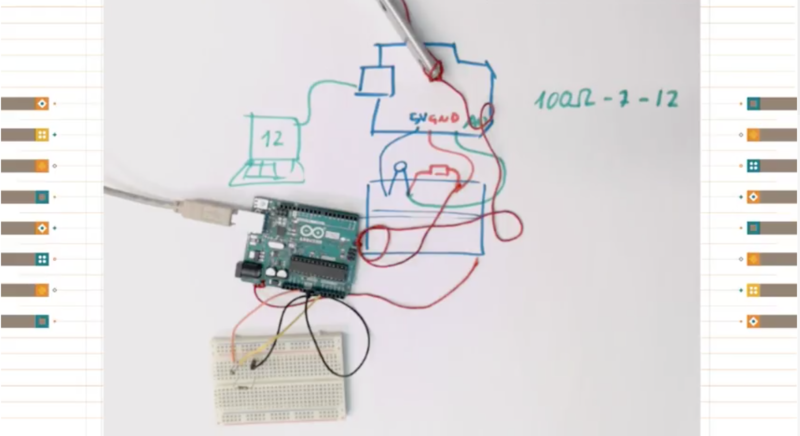 May 17th – Real World Applications: Let’s look at a project where Arduino is being used in the wild to see how it could inspire our students to think more about this kind of design cases. June 14th – Summer Projects: What can you do with Arduino this summer? There is a full agenda, although it may be a bit too much to include in this blog post. We will update you with more details in the coming weeks, so stay tuned. As you could imagine, there are different techniques for livecasts. Since we are looking at a consistent experience over the programs, we have settled on using gamer computers (because of the graphics card), together with a couple of webcams, an external mixer board, and a good ambient mic. We have an extra HDD to record the programs should the bandwidth be so bad that we need to lower the quality beyond our own standards and a Zoom recorder because sound is sometimes troublesome. The software of choice is OBS that can push the stream directly into YouTube and uses the graphics card for real-time compression of the video, which is very helpful. This is the reason why we had to fall for MS Windows (those that know me know I’m a Linux guy), as OBS doesn’t support some of the extra features of the graphics card in the Linux operating system. In the studio, we have a stationary gaming PC with two screens; when on the road, I have a gamer laptop of similar characteristics. 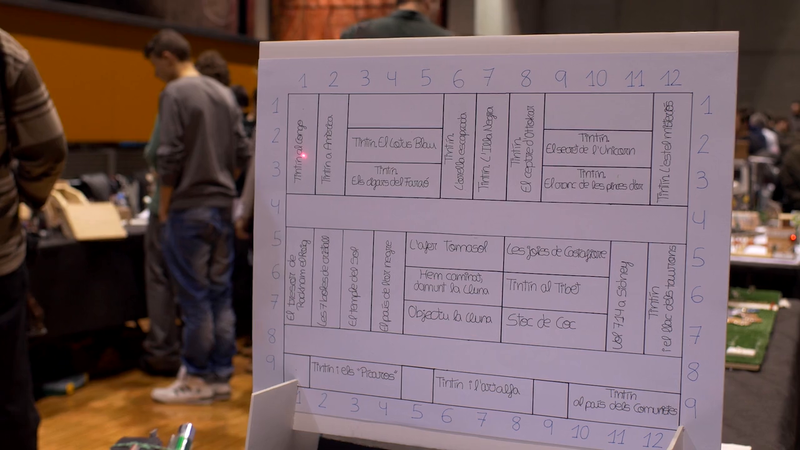 The other difference is that the stationary has a control panel made with an Arduino Leonardo operating as MIDI device, which sends keystrokes to OBS via an interfacing program. These are used to change between scenes, switch cameras, add overlays, etc. For the portable station, I got a control panel from El Gato that takes a lot less space. At the time of writing I’ve made six livecasts with different degrees of success. I have no problem admitting that we (I) are still learning how to prepare the system, switch scenes, and even select the content and write scripts. During our first transmission, the audio ended up having a terrible echo that we couldn’t figure out how to filter. For the second one, the sensors didn’t work even after a full day of preparations. In the third, there were times when I was talking about something but the screen was showing something unrelated. That day I came in the studio and someone had taken one of the monitors to use it in a lab experiment so I had to improvise and had no monitor to check whether I was doing it right or wrong. So far we have learned a lot, yet we still consider the livecasts to be in beta. We are having fun making them and will continue to do so. Also, we are nurturing a new chat community using Discord where people interact live during the programs making suggestions, adding links, and competenting the show. If you want to join the conversation, use the following link and join us on your computer or smartphone via the Discord app. Finally, do not forget subscribing to the Arduino YouTube channel. If we see a good response from the community, we will start making a lot more video content. Don’t discard seeing some other relevant members from the crew coming online, I will do my best to convince them! We didn’t invent livecasting, obviously, and there are other streams you can subscribe to if you want to learn more about the maker culture. Personally, I have to recommend two Spanish channels. First, La Hora Maker, run by Cesar, with whom I collaborate on making live Q&A sessions. Cesar is probably the most knowledgeable person in the maker culture in Spanish language. 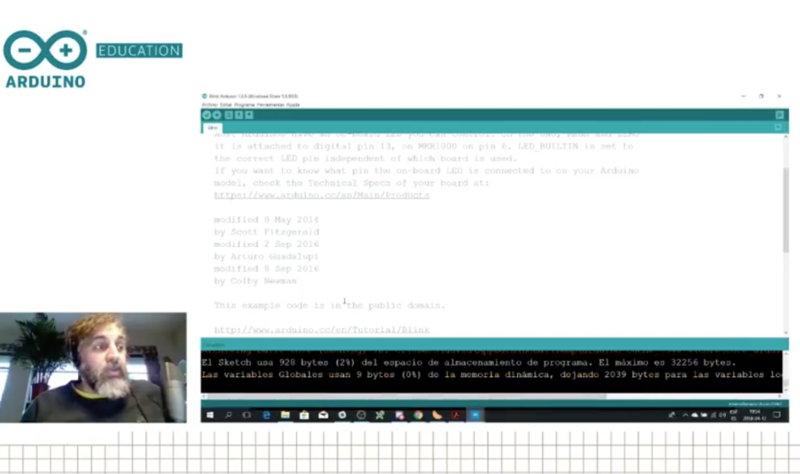 The other relevant channel is Programar Facil from Luis, where you will find a lot of sessions about projects made with Arduino and various programming techniques. CTC Classics: Finding books with frickin’ laser beams! CTC stands for Creative Technologies in the Classroom, an initiative from Arduino Education aimed at helping teachers get up to speed with 21st century skills in the context of STEAM. We have been working with CTC since 2013, with our first experience in Castilla La Mancha, Spain. During a varying period of time, teachers are introduced to project-based learning as they run a full course with their students. At the end, teachers and students meet with their partners at a technology faire to show the result of an open-ended innovation process. In this article series, I present projects made by students and exhibited at CTC faires. At those events, students come and pitch their experiments in front of hundreds of thousands of their peers from schools spanning all across their region. I select some of these projects and reinterpret them as a way to inspire other groups of students and their teachers in making new, interesting, user-centric, and thrilling projects. What is CTC Catalunya and what makes it different? CTC Catalunya is the longest of Arduino’s CTC projects, having had faires since 2015. Thanks to the generosity of the EduCaixa Foundation and the help from Cesire, Catalunya’s government department, we have reached out to as many as 200 public schools at the time of writing. In order to achieve this, we designed a plan where the educators of different regions of Catalunya were trained in becoming trainers themselves, so that they could constitute their own regional support teams as a way to make the project sustainable over time. You can imagine that, after four years, there are many familiar faces. People have grown to like this project, and the CTC faire has become part of the educational landscape to the point that many teachers plan for it within their annual agendas. One of my favorite projects of all-time is a system that enables you to look for books on the shelf by means of a laser pointer. Imagine you want to find that one novel; how many times have you had to browse through hundreds of your books and were unable to locate it for a while? Even if you have a database of all of your books, you would still have to make sure you place them in a certain location and need to go looking for it. 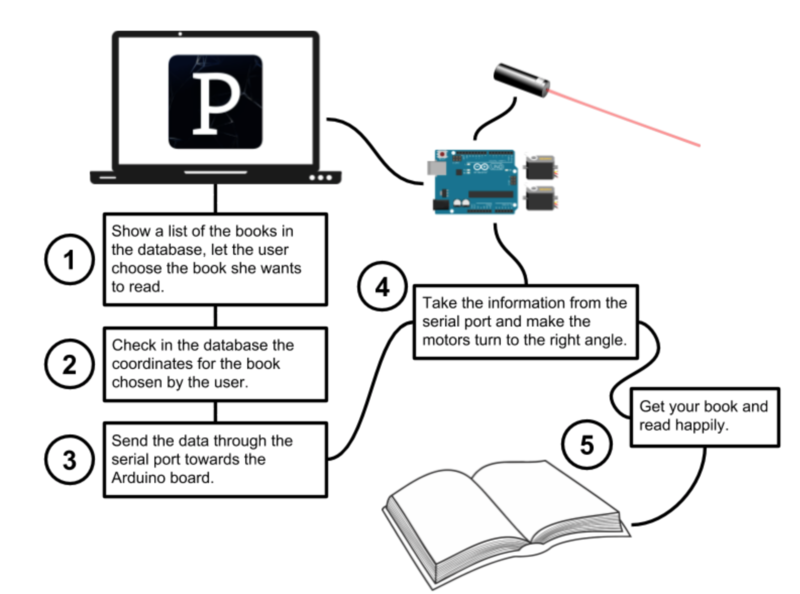 Two students at the CTC Catalunya Faire 2015 conceived the idea of a database of books that connected to an Arduino-controlled laser, which would point to a particular book on the shelf. As many years have passed since the project was presented, I don’t have documentation on how it was built. This is going to be a bit of the topic in this series. I am not looking at being super precise in replicating these projects; rather, my aim is provide some guidelines on how this could be made and inspire others to get the idea and improve it. If you want to see how I make things for real, I invite you to follow my livecast sessions every Thursday at 7pm CET. I’ll be implementing one project from scratch each month. When it comes to my understanding on how this project was built, it is clear that the students used an Arduino Uno board, a Processing sketch, two standard servo motors, and a laser pointer. I have prepared a schematic for you to see how it could work, as well as a diagram that explains the basic interactions between the Processing code and the Arduino one. Take a look at the flow chart above, which explains more about the project. The user will interact with the Processing sketch whenever he or she wants to search for a book. It is very likely the project that the students made had everything hardcoded in the program. In other words, the system was not letting you easily add new books to the database, but were stored in a text file that the Processing sketch would load upon boot. 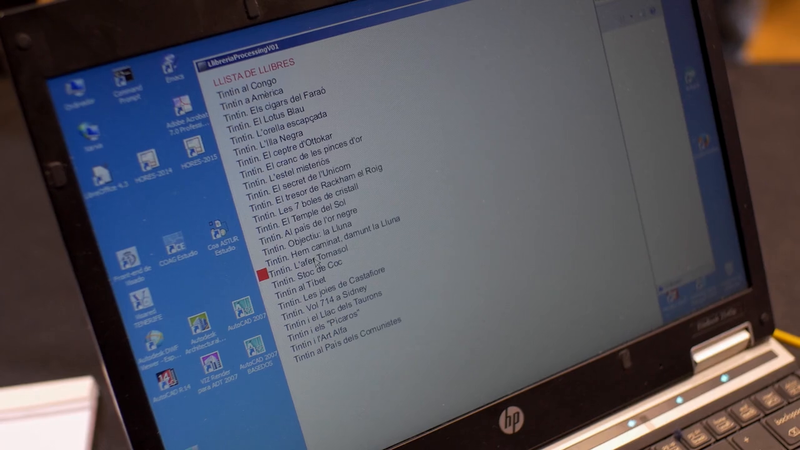 The books were presented in the form of a dropdown list for you to choose from. Once you selected one of the items in the list, the Processing sketch would send the coordinates to the servo motors. Those coordinates also had to be stored in the same text file as the names of the books. With the coordinates, that had to be the angles for each one of the servos, the pointer would be directed towards the shelves, highlighting the location of the book. Since this had to be shown at a faire where thousands of people would come by over a four-hour period, the students couldn’t prepare a much more complex presentation. This is why I have to make some assumptions about how far they went in their building. I also assume that they had to think through the ways to calibrate everything, since they didn’t have a lot of time to set up. The project worked flawlessly for the entire faire. At home we like books, we always have. When I was a kid, my parents had books in the living room, the dining room, mine and my brother’s room. As an adult, I have bought thousands of books and read every week. We own a 7m long bookshelf where books are sorted by color. When we discuss a project or think about possible ideas for what to build next, we look through our books. After a while, finding books is a time-consuming activity. I need one of these book-finding robots in my home! You’ve likely seen at least one of the servo-controlled laser pointer projects for entertaining your cats here, here, or even here. Those are just one example of the fun things you can do with Arduino and lasers. In the context of CTC, there is actually a whole series of projects using laser diodes for creating music instruments. But that is an entirely different story, If you want to read about it, stay tuned for more adventures in CTC at the Arduino blog! The CTC Caire was supported by Cesire at the Generalitat de Catalunya and the EduCaixa foundation. The last couple of weeks have kept the Arduino Education team extremely busy. 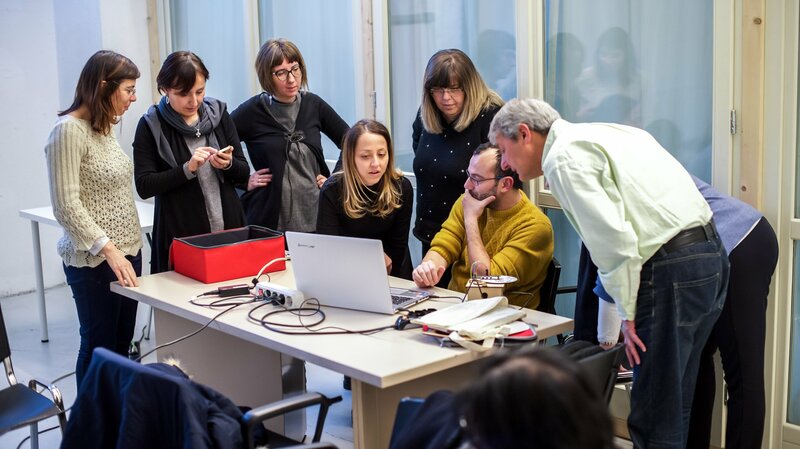 While some of us were presenting CTC 101 to teachers all across Italy, others were in Barcelona for the CTC 101 Faire with more than 4,000 upper secondary students showcasing the projects they created as a result of the CTC 101 2017-18 academic year. The one thing that really amazes us at Arduino EDU is how the CTC program has scaled since its inception five years ago. Back then, we prototyped our first full-year academic program and conducted a test with 25 schools. Our first faire garnered 400 participants, about 10% the size of one of our latest events. The earliest edition of CTC ran on Arduino Uno, consisted of 20 projects, was made in black and white, and included a mascot that we commissioned to the well-known Mexican artist “Grand Chamaco.” From that experiment on, almost 18,000 students have gone through the program. 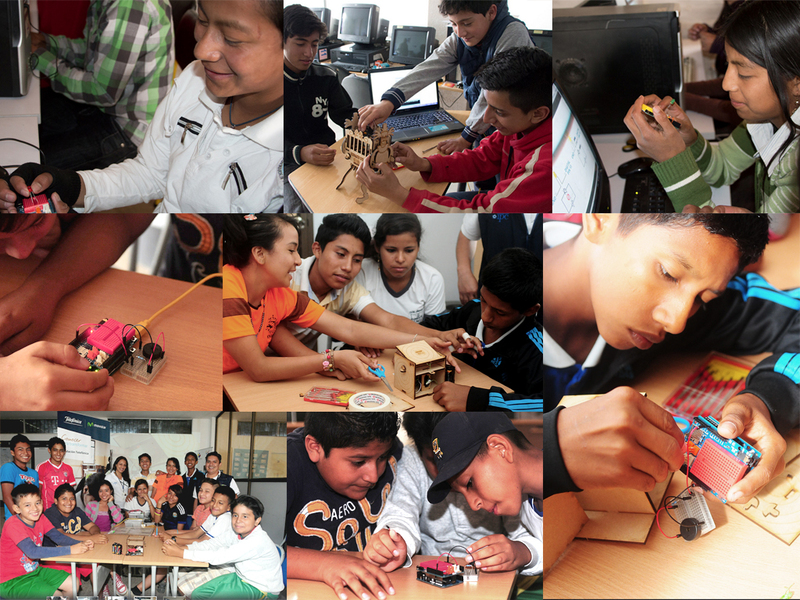 CTC has been implemented by 800 schools, mainly in Spain, Sweden, Ecuador, and Mexico, while more than 1,600 teachers have had the opportunity to learn under the guidance of the Arduino EDU team both on and offline. 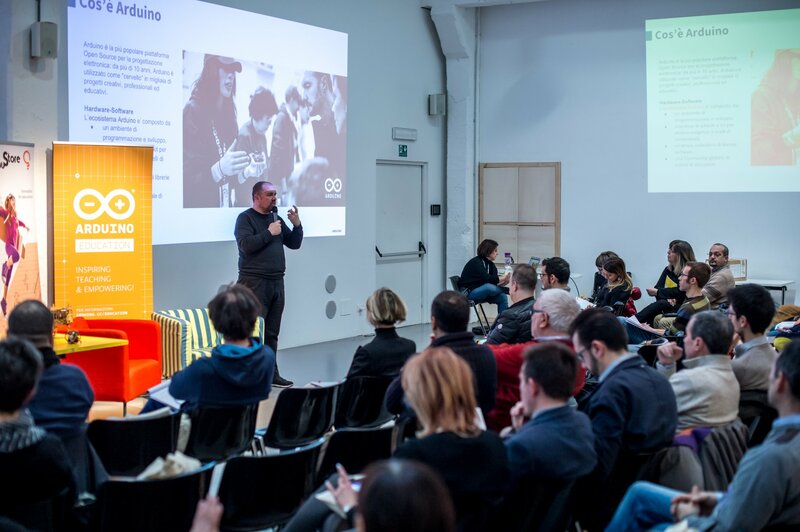 In 2018, CTC 101 will expand to several countries including Italy, where my partner and Arduino co-founder Massimo Banzi together with Valentina Chinnici (Arduino EDU Product Marketing) led the EDU team through a custom-made “Giro d’Italia” visiting Turin, Bologna, Roma, Bari, and Naples to hold special events and workshops to Italian high school teachers, together with CampuStore, one of our Italian partners. While Massimo was touring Italy, I travelled to Barcelona with Nerea Iriepa, CTC’s project manager, to participate in the 2018’s edition of the CTC Catalunya Faire at the renowned CosmoCaixa science museum. The EduCaixa Foundation has been sponsoring this project for the last four years in the regions of Catalunya, Andalucía, and Valencia, with a great degree of satisfaction from both teachers and students alike. In particular, a total of 200 schools in Catalunya (one-third of all of the public schools in the region) have been sponsored by EduCaixa, providing access to the program that has helped teachers enter the world of STEAM via Arduino Education. This year’s faire brought together nearly 500 projects from 100 schools. It is worth mentioning how much effort all of the participants put in building their projects. It has been a tremendous journey for students and teachers that kicked off in September 2017 and culminated at this exhibition. We are truly grateful for CESIRE (big hugs to Rossana and Jordi for their work), the regional ministry of education, as well as Ultralab, our local partner, in organizing this faire. 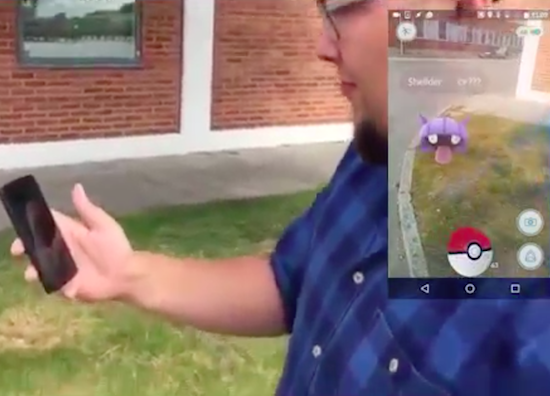 Like the rest of humanity, Arduino Sweden’s interaction designer Marcus Johansson has been glued to the Pokémon GO app. However, as fun as flicking a digital ball with your finger to catch ‘em all may be, he wanted something a bit more realistic. Enter the Arduino Pokéball. 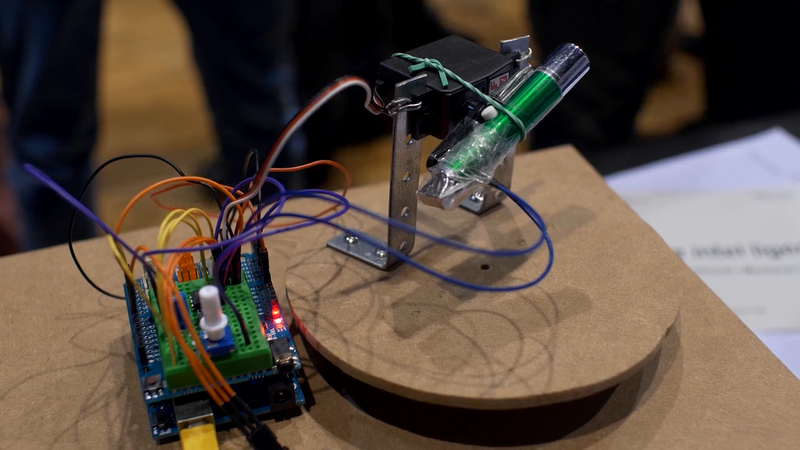 Based off an Arduino CTC project, an Arduino 101 housed inside some protective casing allows him to physically throw the ball, which is then mimicked within the game. It uses the 101’s IMU and Bluetooth track the toss and then send it to the phone. Arduino Create, which came out of beta today, is a web-based development platform for Arduino that allows you to write, share, and collaborate on sketches. The post The New “Arduino Create” Makes for Easier IoT Dev, Better Collaboration appeared first on Make: DIY Projects and Ideas for Makers. Arduino and Genuino Education is a worldwide-leading school initiative bringing technology into the hands of teachers and students to create a more inventive learning experience. It offers multiple platforms, including research-based projects like PELARS and in-class programs such as Creative Technologies in the Classroom (CTC), all of which are present at this year’s Maker Faire Bay Area. With CTC, students are able to learn basic programming, electronics, and mechanics concepts in an approachable, playful way through a series of coding projects and easy-to-assemble experiments. Interested? Be sure to come visit us at Maker Faire Bay Area to learn more and fill out this form so we can get in touch! We are happy to announce that Creative Technologies in the Classroom has been successfully implemented in Ecuador since the fall of 2014 in 40 different places along the country, to more than 600 participants and thanks to the Telefonica Foundation Ecuador. CTC Ecuador has also been implemented within the Pro Niño Project that helps employed children to attend to educational activities and learn about technology. This aims to open an opportunity for them to study at the technical universities in the area (many of them also support the project). The teachers for CTC/Pro Niño are social workers instead of regular school teachers. Here are some pictures of the program in El Oro and the South of Quito. Some CTC Ecuador projects were also presented at an exhibition in Cuenca about society, art and technology hosted by Telefonica Movistar Ecuador.